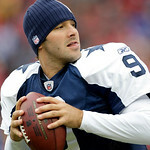 Each season in the NFL the NFC East rivalry games seem to get the attention of everyone. This year one of the more interesting games has to be between two struggling teams whose seasons are both on the line right now. This of course is between the Dallas Cowboys and the Philadelphia Eagles in their first match-up of the 2012-2013 season. Both teams are sitting at 3-5 right now, but are a good ways behind the 6-3 New York Giants at the top of the NFC East. Match all of this up with the fact that both teams are on losing streaks, with the Cowboys losing two straight and the Eagles losing four in a row. They both have major issues to work out from coaching, to offensive line play, to quarterback play, and much, much more. Now these two have a big game on Sunday, and kickoff is set for 4:25pm EST. The game will be played in Philadelphia. Do you like Dallas or Philly? Check out the odds at this bookmaker! The Cowboys finally handled their turnovers last week in a tough loss to the Atlanta Falcons. The problem was, their offense couldn’t turn field goals into touchdowns, even though the defense was able to slow down Matt Ryan and the talented and undefeated Atlanta Falcons offense. Dallas has the right defensive mindset it seems, and they are going to need that D to get all over Michael Vick and to make his life tough. The real question though is about whether the offense can do enough to win, especially as they are going to be without DeMarco Murray yet again, showing that their run game is likely to struggle. 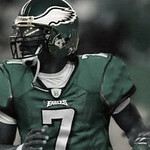 Will Vick Continue at QB for Eagles? The Eagles on the other hand have major issues going on as well that need to be handled. The first of which is the fact that this offensive line couldn’t protect anyone. Michael Vick is a mobile quarterback, and I really don’t think that putting Nick Foles back there is the right answer. The Eagles need to keep working LeSean McCoy as much as they possibly can. McCoy is one of the best backs in the league, and it’s tough without an offensive line, but they need to still keep getting him the ball. The defense hasn’t been nearly as solid as they had originally hoped, and they are going to need to force Tony Romo into turnovers. Say no more! Ready to bet? Check out this top book! This game being a pickem is almost exactly what I guessed it would be. The Eagles are at home so that gives them an edge, but the Cowboys have probably been playing better than the Eagles have. I’m not buying into home field in this situation unfortunately, because the Eagles’ issues don’t seem to be getting any better as the weeks roll on, which is very bad news for the Philly faithful. I think that the Cowboys are going to still be able to play turnover free football this week, and the way that the defense is playing is really bad news for Vick and the Eagles. I’m going with the Cowboys to win it by a field goal and cover the spread on the road.